Drinking bottle 1 Litre + drinking cup and bracket. Suitable for adult chooks. Drinking bottle 1 Litre + drinking cup and bracket. Suitable for upto 3 adult chooks. 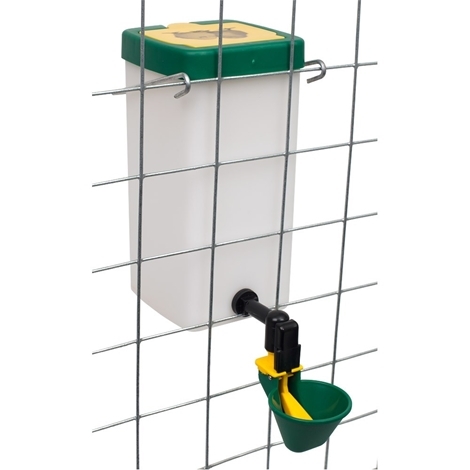 Great system alows for the bottle to be filled from the outside of your coop. Easy to clean and maintain. Mini cup drinkers are available separately or with elbow.